"A good game is more than the sum of your strokes: it's your game pleasure at the Balmer See!" 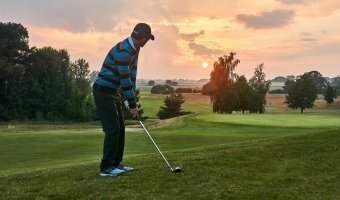 The joy of playing golf is our passion. The sporting challenge and the joy of the game are our top priorities. 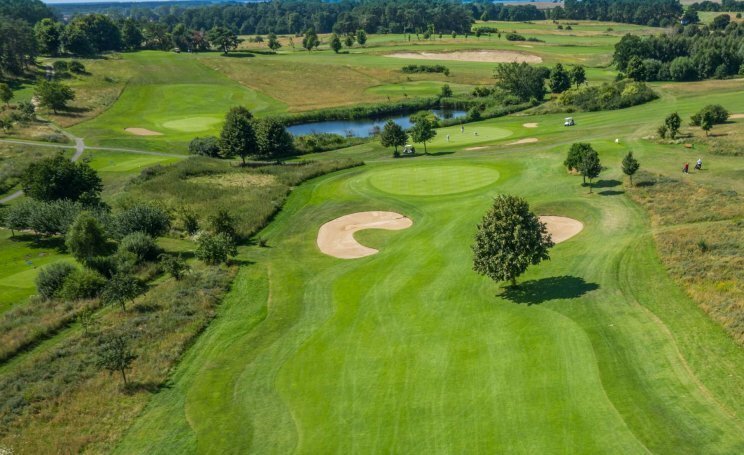 Our well maintained 45-hole golf park, with its two 18-hole tournament courses and the 9-hole short course, is known among golfers all over Germany. 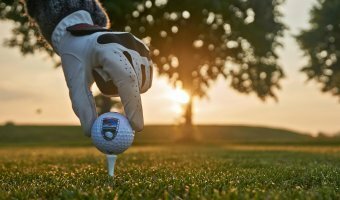 With a daily green fee of only € 29.00 per person for the entire golf park, our guests enjoy an incomparable holiday offer. 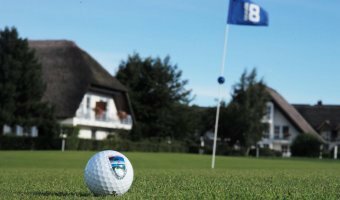 The Balmer See Hotel allows you to practice golf even in winter. To protect our golf courses, we will, however, stick to special winter game conditions. 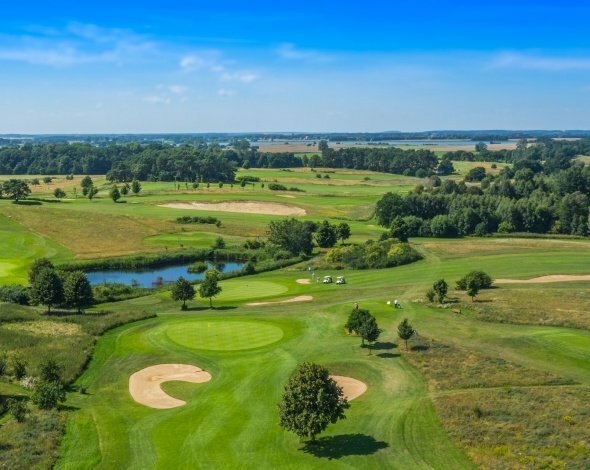 In the event of ground frost occurring, but at the latest from 11/11/2018, our winter game conditions apply to the Golfpark am Balmer See. Discover here the variety and all possibilities, so that your next golf vacation becomes a real pleasure! On the demanding 18-hole course (par 71) with different doglegs, you can overcome small water hazards and varied paths. 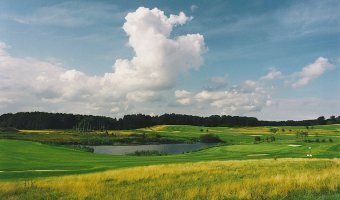 The 18-hole course (par 71) is a bit longer and more difficult than the Yellow Course, as several water hazards on the track come into play. 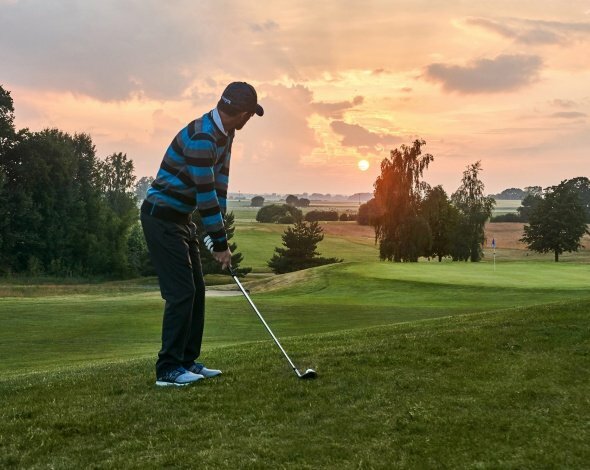 Our 9-hole short course (par 29) is the ideal training partner or the place for a relaxing short round in the evening. 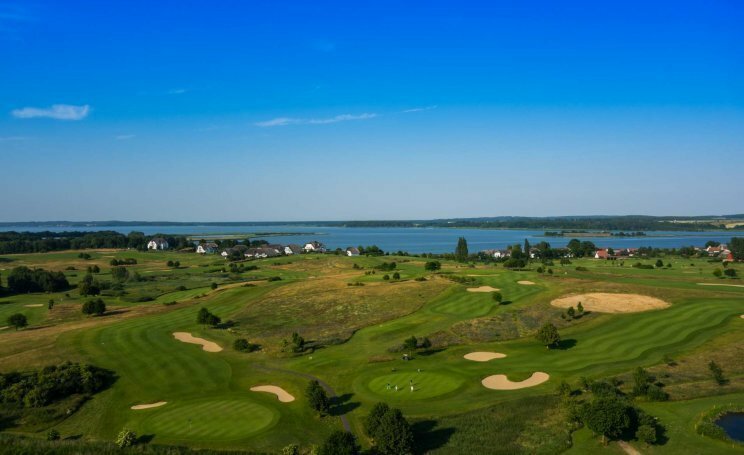 Natural, varied and with the best views: The Golfpark Balmer See on the island of Usedom with a total of 45 holes is an exciting challenge for all players and in every season. 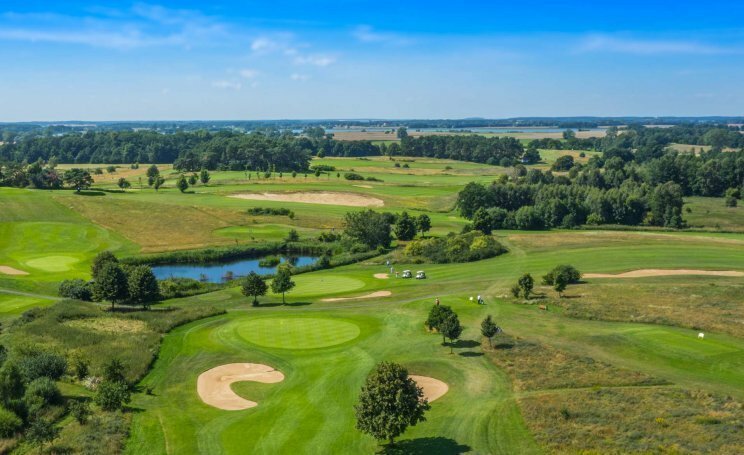 The way to the first tee-off is not much further away from your hotel room or apartment than the longest hole on our course. The right momentum can be found on our driving range with 30 tees or on the "pitch & chip" area of the training area. The joy of the game always comes first for us. Our tournament course "Yellow" (Par 71) with a total length of 5111m offers beautiful moments of golf. 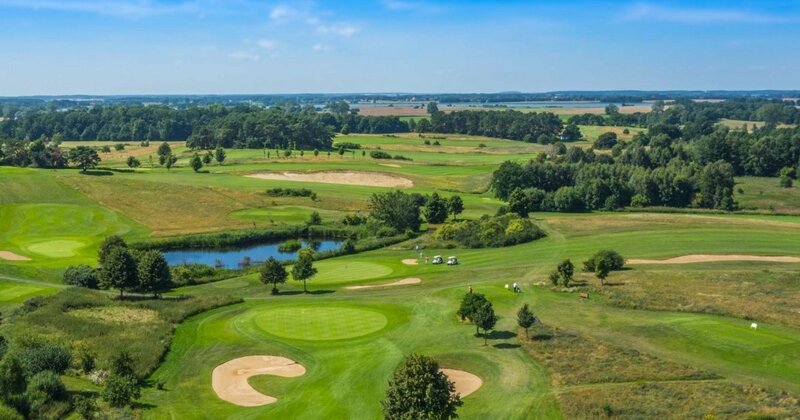 The course is oriented around the golf park and allows you to enjoy many sunny hours in good weather. As a special feature, the supposedly simplest hole 14 offers a waterless island green, as it is protected by sand bunkers all around. So do not forget a sand wedge. More water, more fairway, more golf. 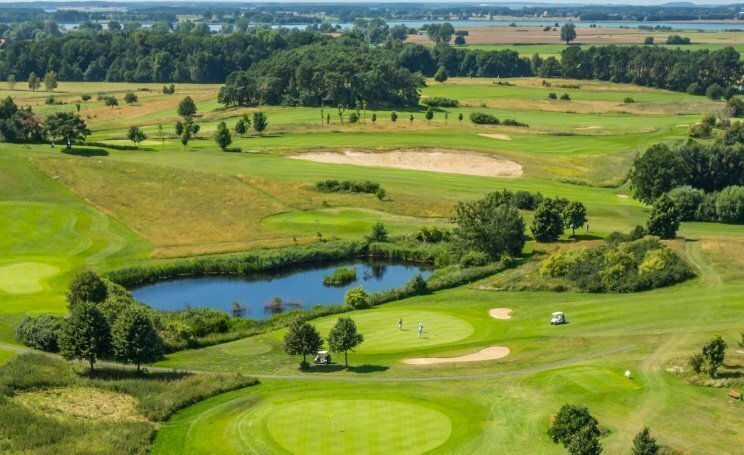 The 18-hole course (par 71) is a bit longer and somewhat more difficult than the Yellow Course, as several water hazards come into play on the track. As a special feature you can expect a double-dog-leg including water obstacle. A good strategy is necessary there. Our Red Course(par 29) is a training course in the truest sense of the word. 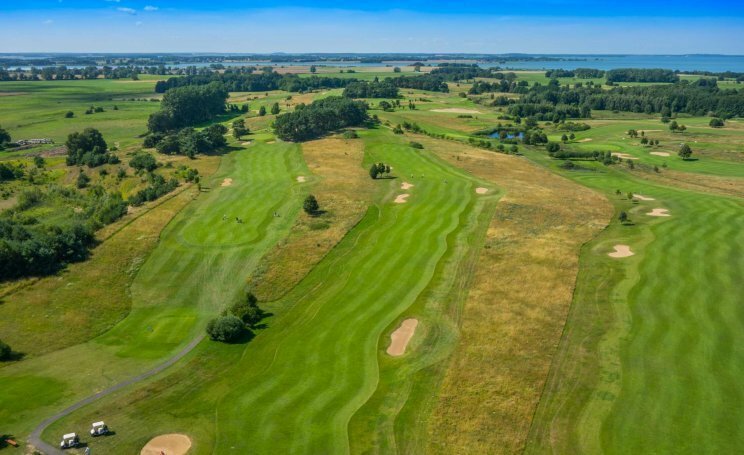 Even though it is shorter, the inclinations of the fairways and the difficulty level of the greens are an ideal training opportunity to master various challenges on a short lap. Our driving range has all the prerequisites to get you going. At the tees you will find a ball machine that supplies you with range balls. 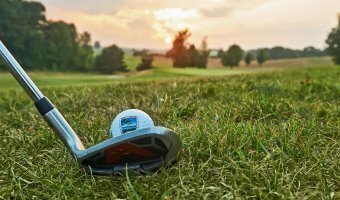 Tokens for the machines are available at any time in the Golfhus or at the hotel reception.You can also use our covered tees at the golf school in all kinds of weather. Note: The driving range also needs care. Therefore, it is open from 10:00 on Tuesdays and Fridays. Otherwise, the driving range is available from sunrise to sunset. (E-carts, trolleys, rental clubs) are in good hands which are those of our staff at the Golfhus. In addition, they look after our Pro Shop, where your favorite articles of the season are already waiting for you. 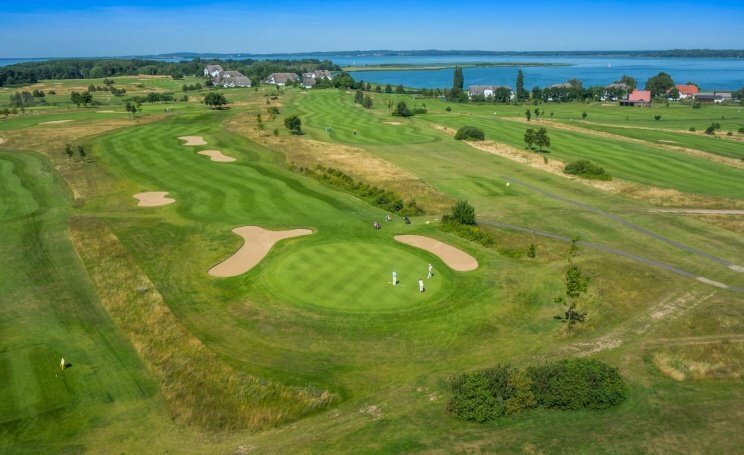 You can apply for memberships, reserve and change tee times, submit tournament registrations or book e-carts and trolleys with us.